Containerstorageunits.co.uk is proud to offer the most dynamic, innovative and intelligent container storage services in the region. 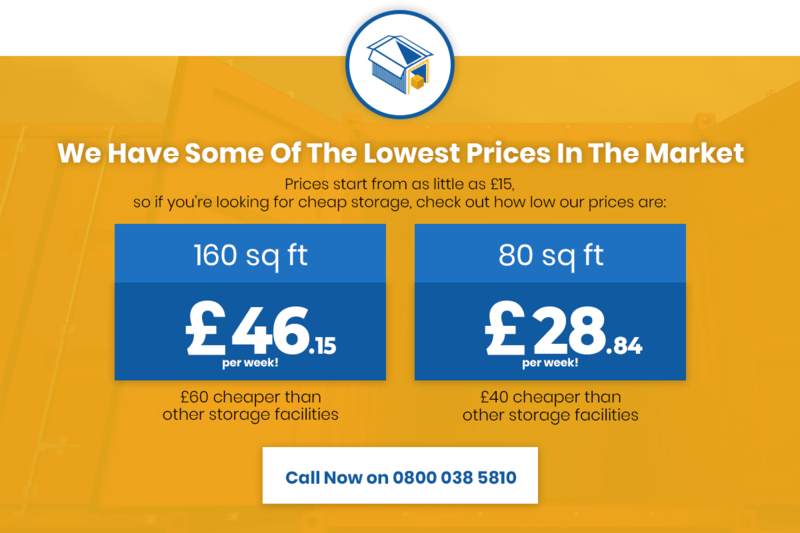 From simple domestic self-storage units in Kent to much more extensive commercial container storage projects, we cover all needs for the lowest possible price. Our newly established company combines small business values with big brand performance. For our customers, this translates to premium-quality Kent storage units with the guarantee of the lowest prices on the market. We operate from an expansive site just off J6 of the M25 – conveniently located for London and the South East. We’ve worked hard to build a facility that provides clean, dry and comprehensively safe container storage units for Kent and the surrounding region. Along with meticulous maintenance on our part, our site is also covered by 24/7 CCTV for total peace of mind. Whatever you put into our storage units and regardless of the duration, you’ll know it’s in safe hands with us! It’s easy to get started – secure your Kent container storage unit in a matter of minutes and for the lowest possible price. Alternatively, get in touch with our dedicated customer service team today for more information on any of our Kent container storage units. We’re proud to offer outdoor storage plots in Kent in a variety of sizes and specifications to suit all needs. For the highest-quality caravan storage in Kent with guaranteed low prices, you’ve come to the right place! What’s more, our services are kept as flexible as possible, with short-term and long-term contracts available. From a few short weeks to over-winter motorhome storage to indefinite rolling contracts, we promise to provide you with exactly what you need for the lowest possible price. For those in need of something a little larger, our caravan storage yard in Kent also offers commercial vehicle storage, boat storage, plant storage and so much more besides. Our largest outdoor storage plots are able to safely accommodate a wide variety of commercial and industrial goods while not in use. Or if you prefer, we can hire or sell you the containers you need to expand and optimise the space you have around your own premises. From shipping containers to pre-fabricated office units to toilet facilities and more, whatever it takes to help you get the job done, you can count on us! We back our caravan storage in Kent with the guarantee of outstanding quality and superb value money, every time. If you can’t find the exact storage service you’re looking for on our website, get in touch with our customer care team for advice. Of if you’re in the area, why not pop by our outdoor storage facility personally for a tour?